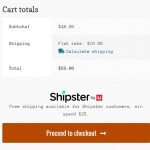 Give your buyers access to free shipping via Shipster, Australia-wide! 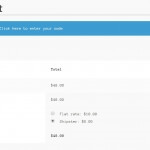 This plugin integrates the WooCommerce checkout experience seamlessly with Shipster. Easily add Shipster branding, or switch between live & production environments thanks to a few handy settings. 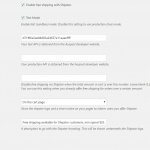 We worked together with Auspost to make sure the plugin fits the Shipster standards. Our integration integrates beautifully with your theme and is suited for all devices. Need more features or having problems configuring the plugin? No problem! We're ready to help, just contact us.